Laptop screens are more fragile and can be easily damaged when laptops are dropped. Broken glass cannot be repaired so if your laptop screen is cracked or leaking, Laptop screen replacement is the only option. 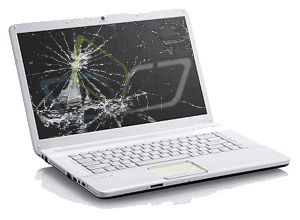 At Casper Computer Repair, we offer fast and economical laptop screen repair services for all cracked or broken screen problems. We replace broken screens on all current models of laptops and notebooks at a price you can afford. Laptops with broken screens can be restored to full functionality for a fraction of the cost of buying a new laptop.